Pursuing a degree in information sciences may lead graduates to virtually unlimited career opportunities. Careers may include everything from managing a local public library; to dissecting foreign intelligence at the Pentagon; to researching a competitor for a top-tier fashion chain. In fact, a number of industries are shaped by information science professionals, most of who are well compensated for their skills. Library data managers, for instance, need information science preservationists to reorganize, reanalyze and metatag data used for scientific advancements. These preservationists also help researchers attain public funding, government grants and private donations. With this financing, researchers are able to continue their investigative studies and clinical trials, which could include anything from making the world more environmentally conscious, to helping cure medical conditions. Computer support specialist: According to the Bureau of Labor Statistics, the average median pay for this position in 2016 was $52,160. These jobs are growing at a rate of 10% per year through 2026, considered faster than average. Approximately 87,100 jobs are expected to be added by the year 2026. No work experience is usually necessary to land an entry-level position. Information science professionals can work with informatics nurses on clinical information technology applications. Together, they help manage and provide data to other medical professionals, providers, patients and consumers, and stay at the forefront of health care technology. Computer and Information research scientist: the 2016 median pay was $111,840 per year, according to The Bureau of Labor Statistics. Jobs are growing at a rate of 19% per year through 2026, which is much faster than average. Potential employees must hold a master’s degree and usually do not receive any significant on-the-job training. About 5,400 jobs are projected to be added by 2026. Information scientists can specialize in competitive business and marketing intelligence. This role provides them with the knowledge to monitor companies that are in competition with their employer, and then make recommendations to the marketing department. This type of analytical intelligence enables organizations to make strategic and tactical decisions in an effort to outsmart the opposition. Market research analyst: the 2016 median pay was $62,560 per year, according to the Bureau of Labor Statistics. Jobs are growing at a rate of 23% per year through 2026, which is much faster than average. A total of 136,000 jobs are expected to be added by 2026. Successful job candidates already have a knowledge of the position’s responsibilities and duties. Little or no on-the-job training is usually provided. Because various industries employ marketing professionals, market research analysts can often pick and choose the type of work that interests them. With the current state of politics, elected officials and politicians rely on political intelligence consultants for an array of reasons. Duties may include providing data and analysis to promote successful elections, or using data to determine where and when campaigning is necessary. In addition, interest groups and lobbyists use consultants to research their target demographics and help elicit the best possible election outcomes. Political scientist: $114,290 was the median salary for 2016, according to the Bureau of Labor Statistics. A master’s degree is required for typical entry-level work, and the current job growth is at 2% per year, which should last each year through 2026. Potential employees will face stiff competition for employment, and should look to focus as much of their graduate coursework as possible on research and design to provide the know-how to quickly step into a job. It’s a known truism: companies spend money to save money. Although this sounds counterintuitive to an organization’s bottom line, companies hire and pay systems analysts to help them ultimately save money. Systems analysts come armed with the capability to study, streamline, and design both organizational and informational technology systems to better a company’s efficiency. Systems analyst: The median salary for 2016 was $87,200 per year, according to the Bureau of Labor Statistics. The job growth rate is average at 9% per year through 2026. Cloud computing, used by almost all types of industries, is expected to help increase the demand for this line of work. No on-the-job training is usually offered—employees must already know the duties and responsibilities of the position. Good news: the quality of life enjoyed by systems analysts is considered above average; only about one in five work more than forty hours per week. 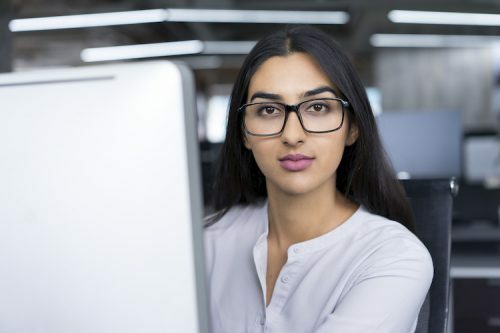 Whatever career path information science graduates decide to follow, they must showcase their technology-focused expertise, drive, passion, and confidence to potential employers. With an online Master of Information degree, they can quickly apply additional knowledge—and likely boost their prospects for success at their current workplace or in the future.